Construction: Leather covered mahogany body, with wide angle flap. Diagonal section double extension bellows. Patented support struts with locking bolts. Body designed for rollfilm or plates. Twin finders to allow for portrait and landscape formats, with rising and cross front. Production Period: 1902 - ? 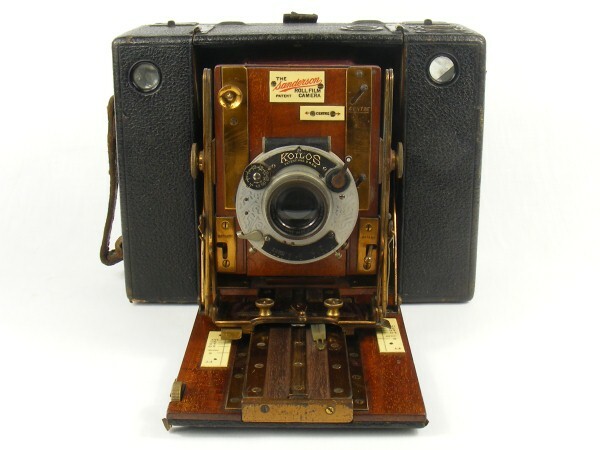 The Sanderson Roll Film camera has a black leather covered mahogany body, which shares many features with the more common hand & stand camera. 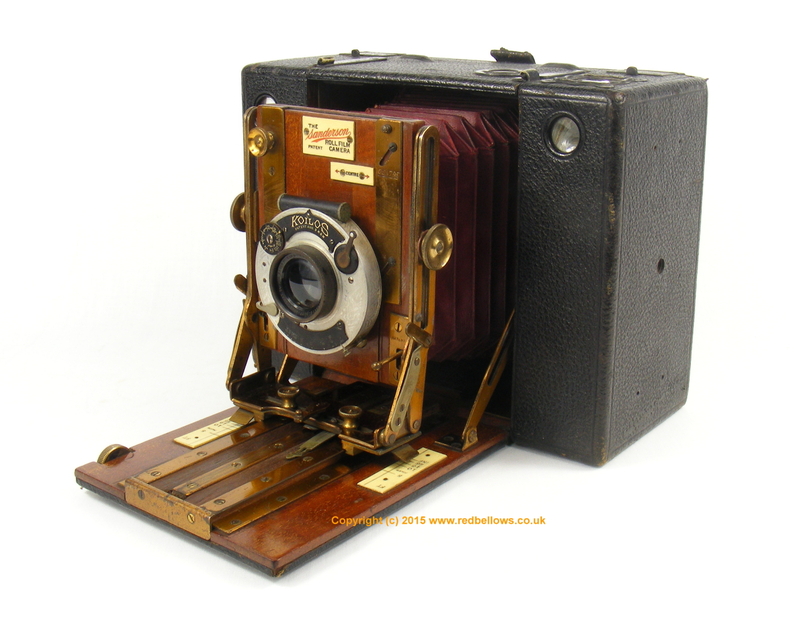 Contemporary advertising by Houghtons seems to alternate between two formats of the camera name, referring to it as the "Roll Film" Sanderson or alternately the Sanderson Roll Film camera, the name that is shown on the label attached to both examples described on this page. Serial Number: Serial on left hand lens standard strut (standard location) is 10.309. ClicPic Photos copyright © 2014 David Purcell. Do not use without permission. 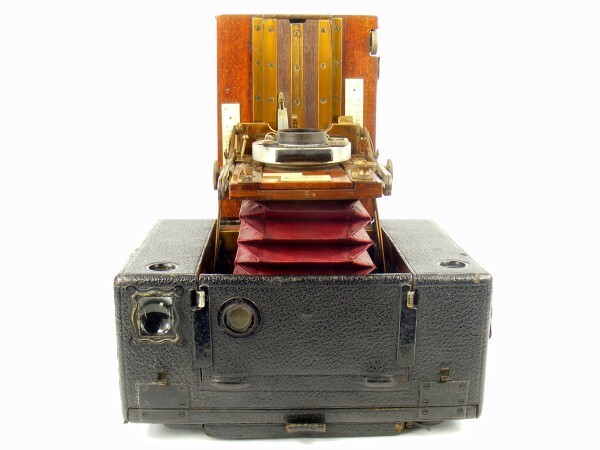 This example of the Sanderson Roll Film camera has diagonal section double extension red leather bellows. 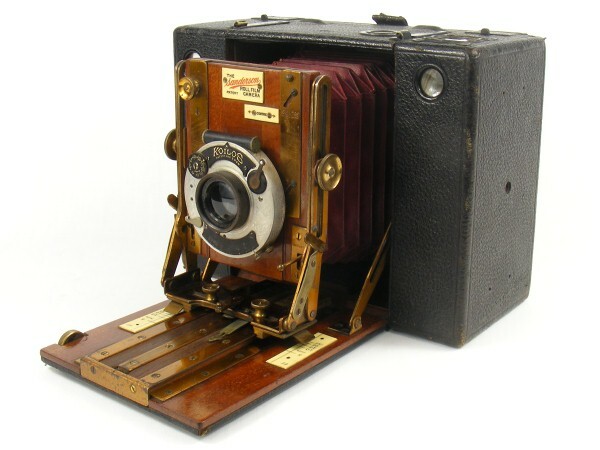 The serial of this example is 10309 and this corresponds to 1905 according to the article "Dating Sanderson Cameras" by Cliff Bulcock, Photographica World 2008/1. 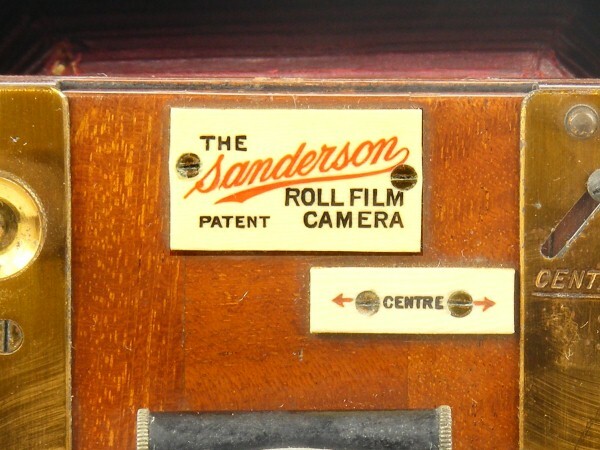 The camera model is identified on a label on the lens board as the Sanderson Roll Film camera. 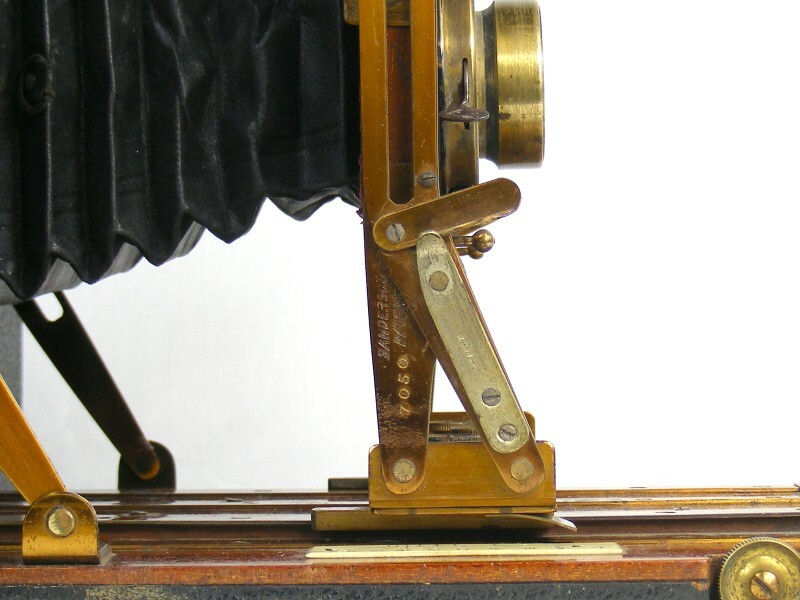 Aside of the expected Sanderson side strut mechanism that provides a full set of architectural movements, the camera also has rising and cross front. The rising front relies on a friction grip (not geared) and the cross front has two thumbscrew fixings (not just one as found on many examples). It has a lever between the two to ease pulling the lens standard forward into position. It has a sprung steel clip to index the infinity focus position, having two settings for rollfilm or plates. 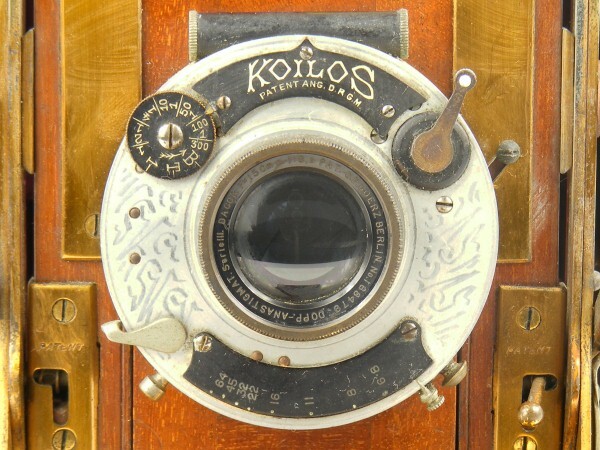 There are two focusing scales for the same purpose, as a consequence of the difference in the focal plane for plates and film. 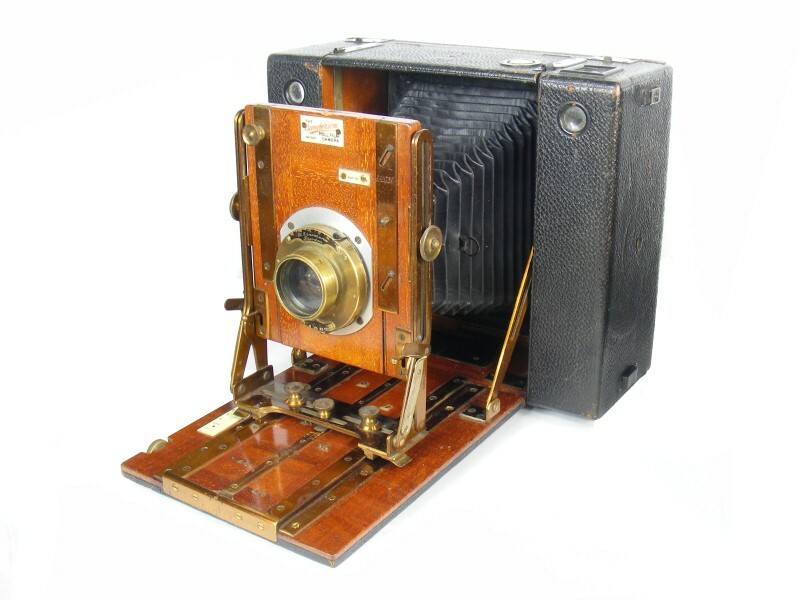 The camera is fitted with the plate back adapter, and is complete with its ground glass screen, but did not come with any dark slides for plates. Serial Number: Serial on left hand lens standard strut (standard location) is 7050. ClicPic Photos copyright © 2017 David Purcell. Do not use without permission. 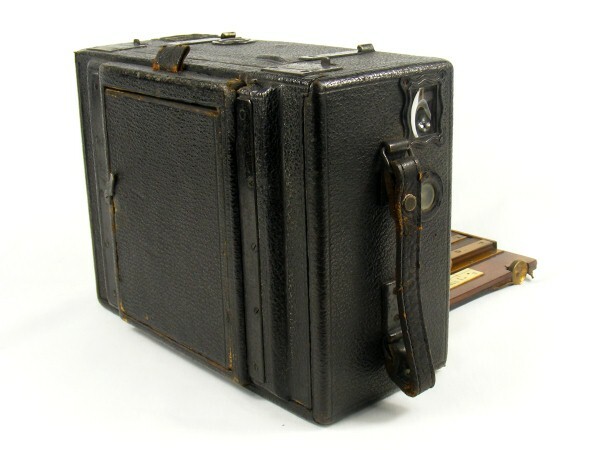 This example of the Sanderson Roll Film camera has diagonal section double extension black leather bellows. 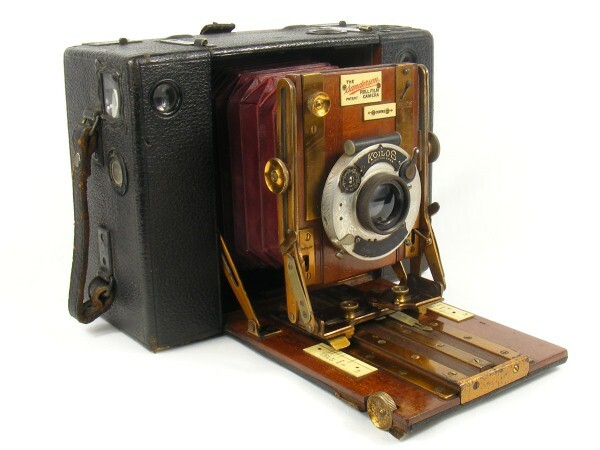 I am certain that these are a replacement, and there is clear evidence that the camera was originally fitted with red leather bellows when originally sold, as seen on the previous example. 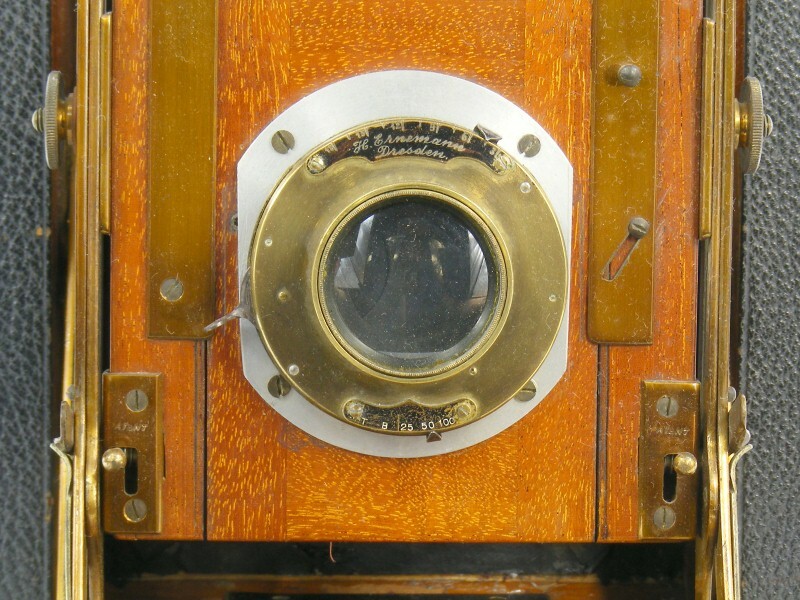 The replacement bellows are also much narrower at the lens end than the original, and are not fitted in the same way either as the narrow end is fixed to the rear of the lens panel rather than the rear of the surrounding frame. This means that the lens panel can no longer be removed. 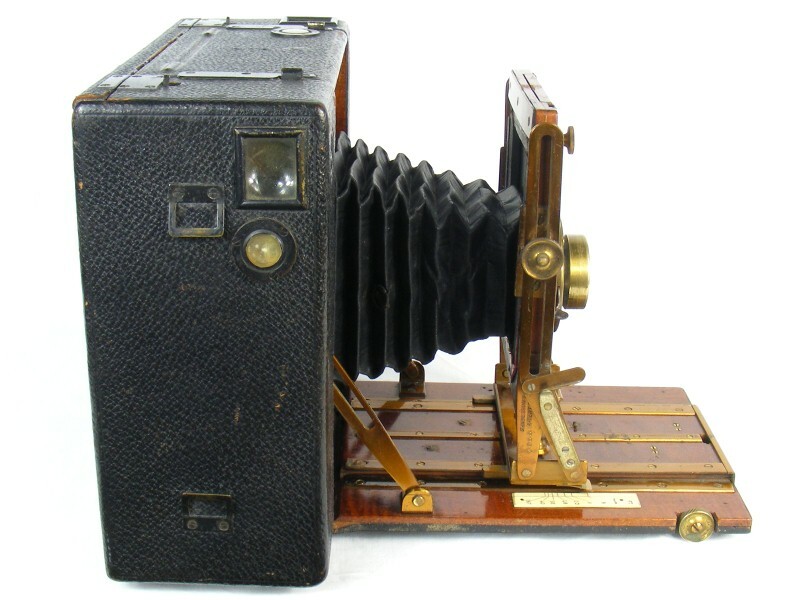 The serial of this example is 7050 and this corresponds to 1904 according to the article "Dating Sanderson Cameras" by Cliff Bulcock, Photographica World 2008/1. 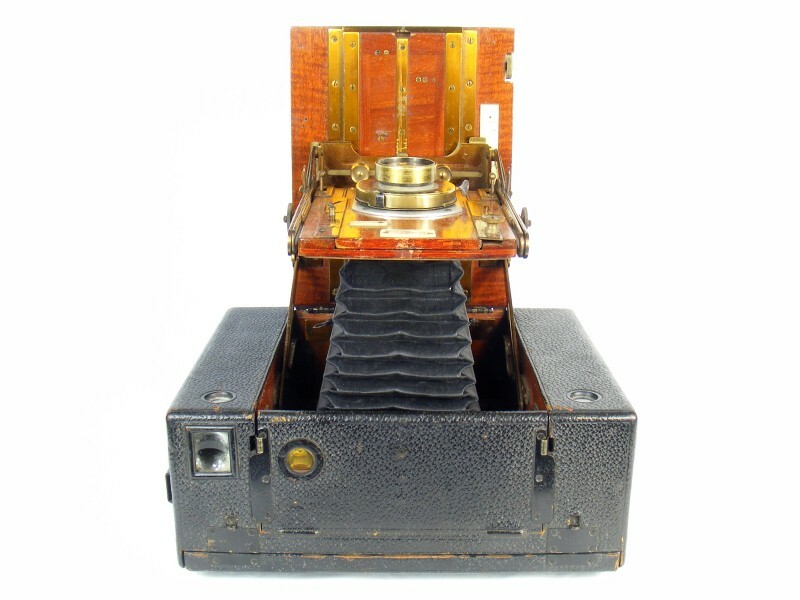 Aside of the expected Sanderson side strut mechanism that provides a full set of architectural movements, the camera also has rising and cross front. The rising front relies on a friction grip (not geared) and the cross front has two thumbscrew fixings (not just one as found on many examples). It should have two sprung steel clips to index the infinity focus position, corresponding to the settings for rollfilm or plates, but both clips are missing from this example. There are two focusing scales for the same purpose, as a consequence of the difference in the focal plane for plates and film. This example is fitted with the plain back, and in this form could only be used with rollfilm rather than being adaptable to plates. Compare the back with that of the previous example. 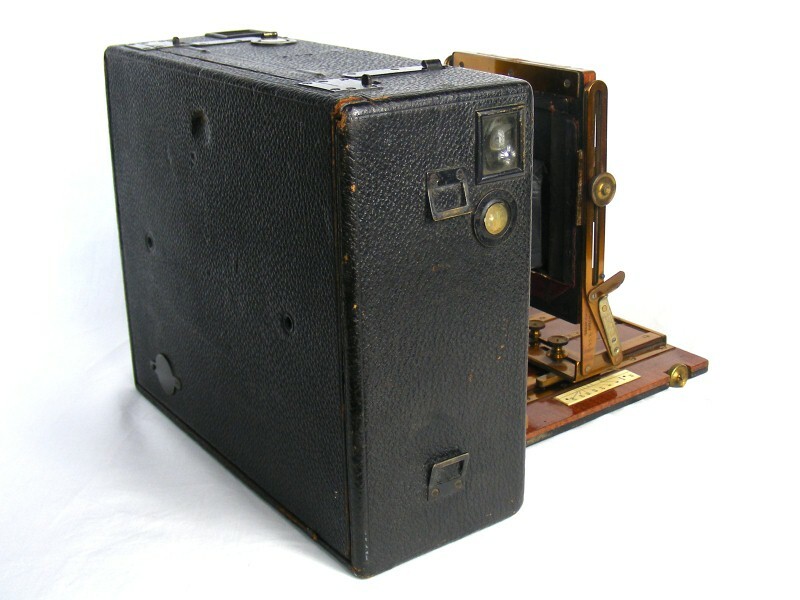 According to Houghton adverts of the period (for example BJPA 1904) this camera was available in three different sizes, namely 4¼ x 3¼, 5 x 4, 6½ x 4¾. 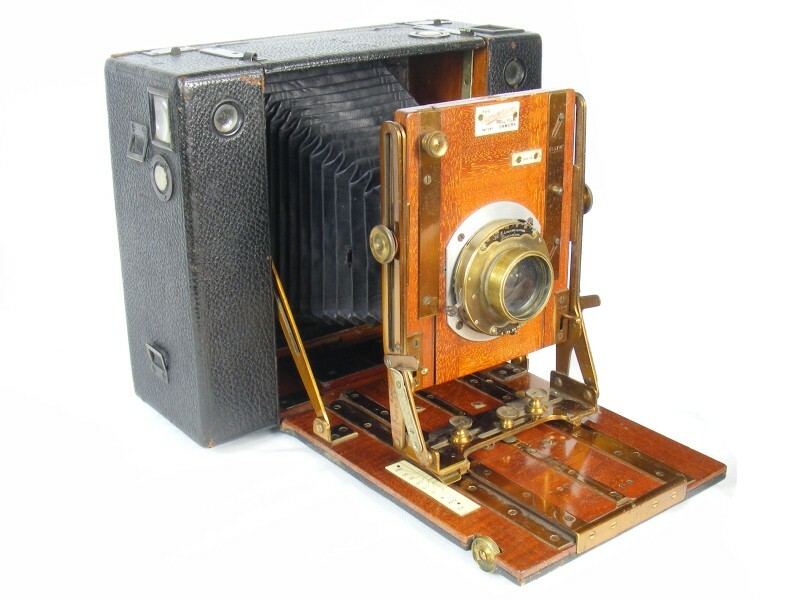 The 5 x 4 appears to be the most common, although even this model is comparatively difficult to find and much less common than the Regular Hand & Stand plate camera. The photo below shows the 5 x 4 and ½ plate models side by side. 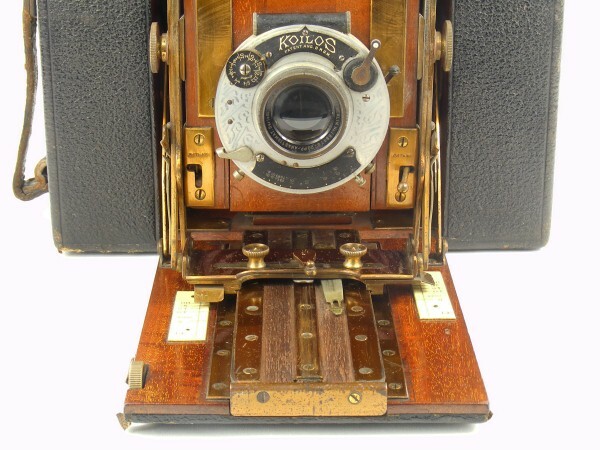 There is also a tropical model of this camera, finished in polished teak, which is very hard to find. 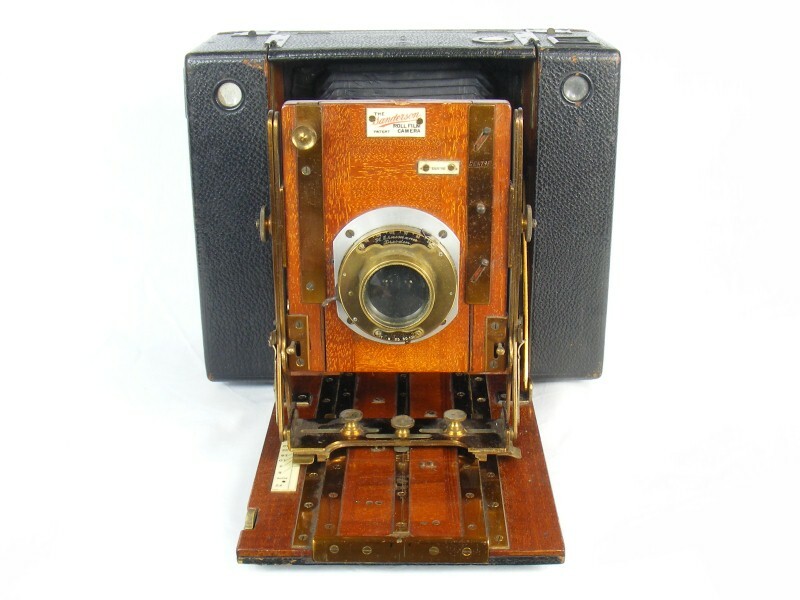 I have an unnamed tropical rollfilm camera in my collection that was sold by H.J. Redding, which shares many common features with the Sanderson, leading to the suggestion that the cameras shared a common maker and was simply marketed by H.J. Redding. 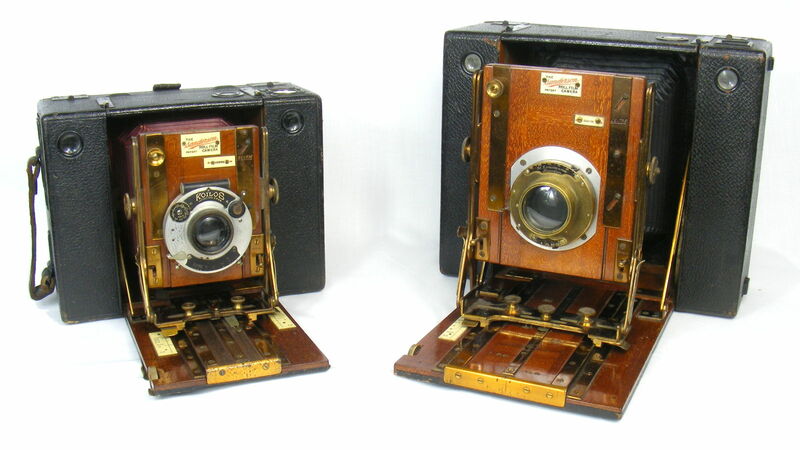 Refer to the linked page for more information, a side-by-side photo of the two cameras and a more detailed comparison between the two cameras.